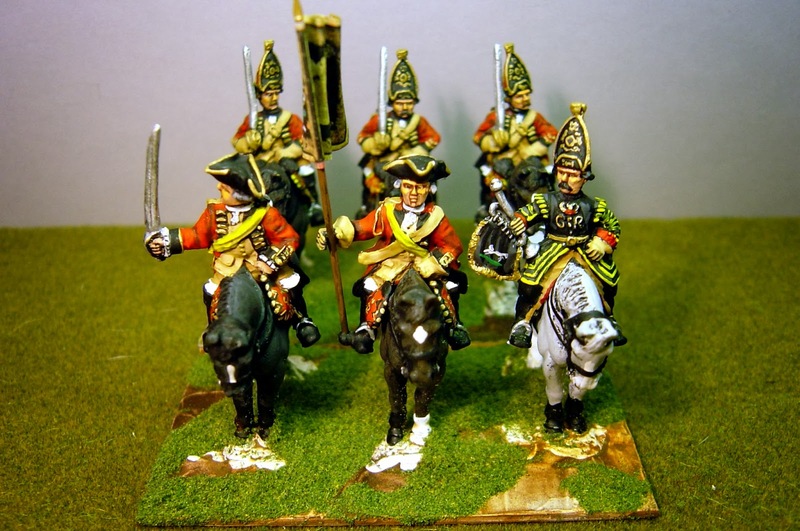 One of my all-time favourite regiments of cavalry from the Lace Wars period. 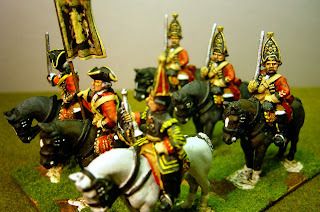 I know where this came from - my dog-chewed John Mollo "Uniforms of the Seven Years War" part of the Blandford series. Illustration 64 from this little book shows a magnificent mounted Horse Grenadier with a frown and I think I have now painted this small unit (it was only one squadron strong) about six times in 15mm to 28mm. By the way, if you ever see this book for sale, buy it as it is a treasure. Front Rank produce a figure but holding a carbine in one hand so these are conversions. 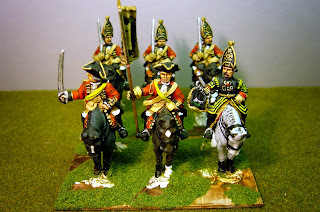 I'm now finished with cavalry for a while and soon will be starting on Saxon infantry.